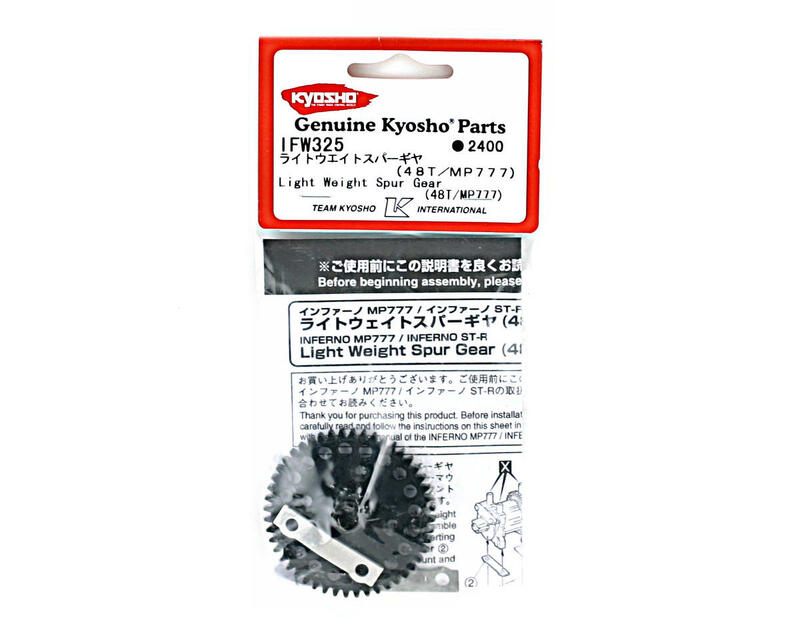 Kyosho Light Weight center spur gear. 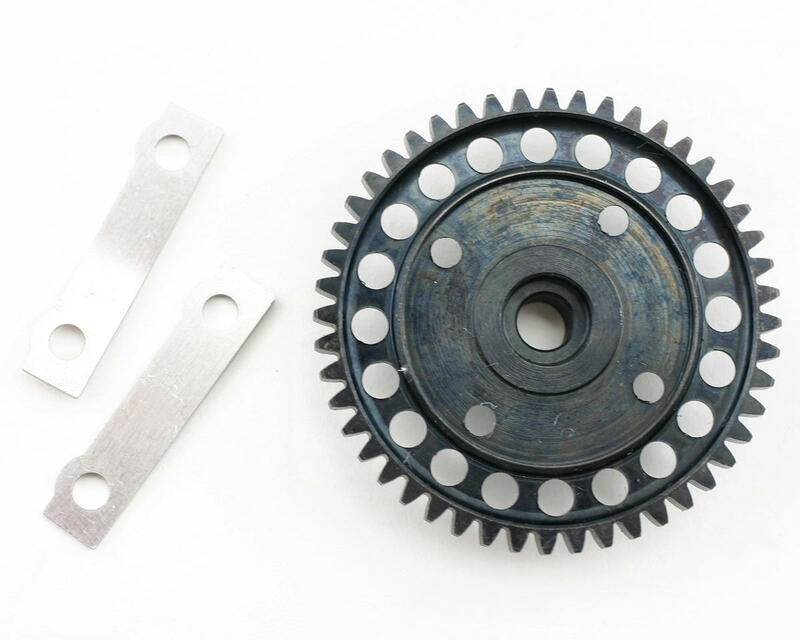 These gears are compatible with the Inferno MP7.5, MP777, and ST-R family of 1/8 off road vehicles. Choose from 48, 50 and 52 tooth count options to fine tune the torque and top speed of your model. and is used on the center differential to drive the truck from the engine clutch bell. 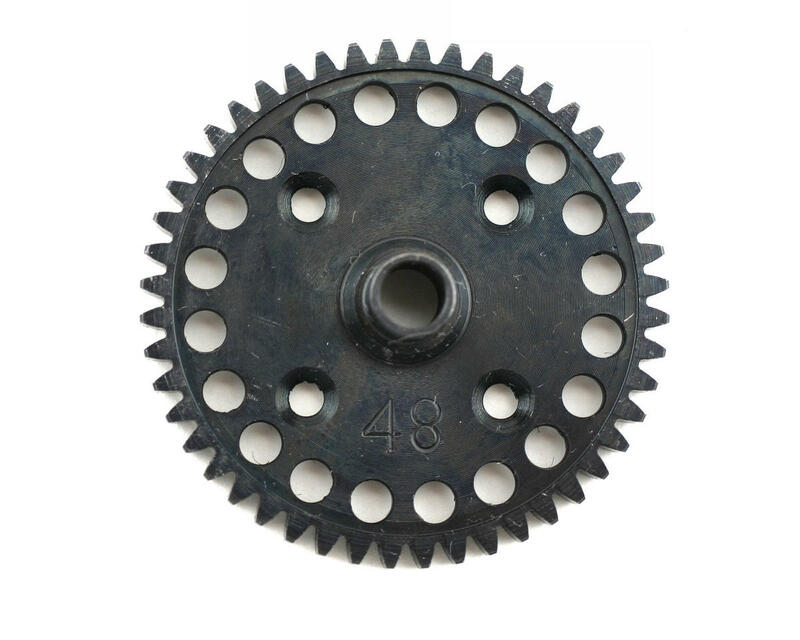 You can also get a 52T or a 48T spur gear as optional replacements for this gear to adjust the gear ratio of your truck.